SPEARFISH, S.D. - The Black Hills State University Yellow Jackets held their annual spring football game at Lyle Hare Stadium. The Yellow Jackets are looking to fill several holes this fall and improve on their 3-8 record from last season. Offensively, the spring practices were an open competition as to who will take over the reins at quarterback in an attempt to replace Ryan Hommel. Hommel is graduating this spring. Right now, three players are vying for the position including Tyler Hammons, Riley Glynn and Chance Eben. Hammons has the most playing experience for the Jackets. He replaced Hommel last season due to an injury and completed 53-of-106 passes for 533 yards, six touchdowns and six interceptions. 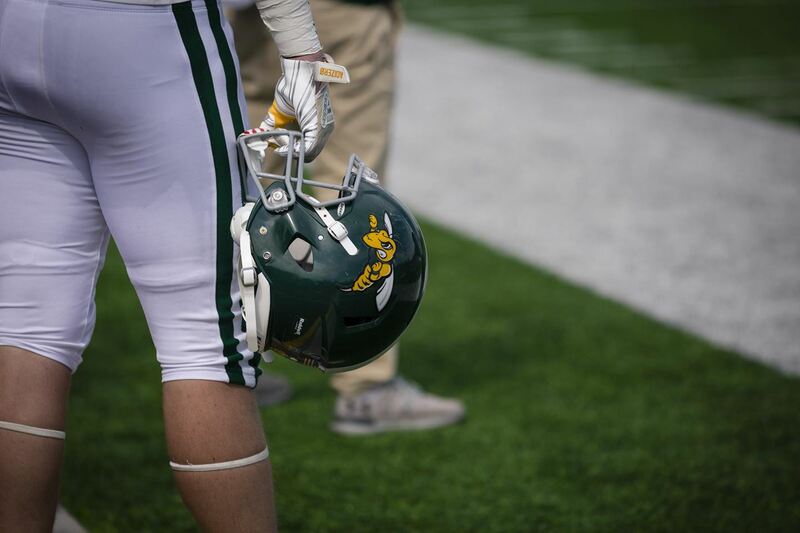 BHSU coach John Reiners said with the three vying for the starting spot, there is still a lot of work to be done before fall camp begins in August. The Green team claimed a 12-10 victory over the White team. It was only played on one half of the field due to the amount of snow that fell from the storm.